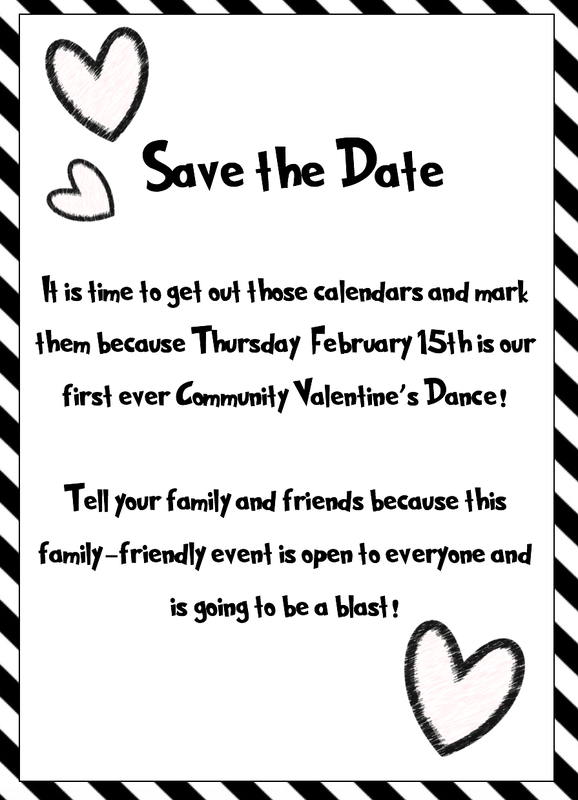 Come join us for our first ever Community Valentine's Day Dance! There will be food, music, and fun as we dance the evening away! Bring your friends and family because everyone is welcome!